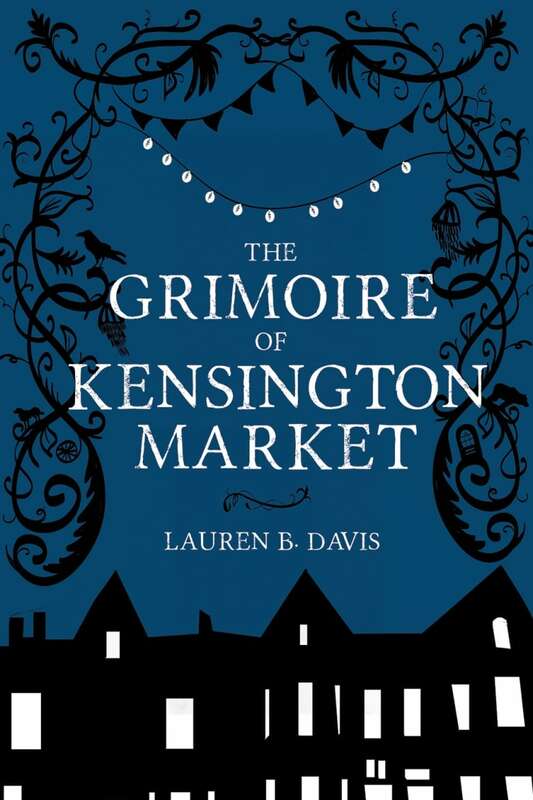 The Grimoire of Kensington Market is a novel Lauren B. Davis. The downtown core of Toronto is being consumed by Elysium, a drug that allows its users to slip through the permeable edges of this world and then consumes them utterly. Peddled by the icy Srebrenka, few have managed to escape the drug and its dealer. But Maggie has. Inspired by Hans Christian Andersen's "The Snow Queen," The Grimoire of Kensington Market is the story of Maggie, guardian of The Grimoire bookstore, which expands and contracts as stories are born... or die. Only those who are destined to find The Grimoire enter through its front door. But one day a messenger arrives with a mysterious note that reads, "follow me." The next day, another note arrives and then another. The messages, Maggie realizes, are from her brother, Kyle, who has fallen under the influence of the Elysium. Kyle has gone too far into the Silver World and needs his sister, a recovering addict herself, to rescue him. From The Grimoire of Kensington Market by Lauren B. Davis ©2018. Published by Wolsak & Wynn.